As I mentioned last week in my post on Edwardian flower crowns, I've just photographed these wonderful Edwardian dresses which are new to my collection. You are the first to see them! I was thrilled to find these dresses, as original Edwardian gowns are now very rare, particularly in such fine condition. These gowns are each 100 years old! They've lasted so well as both are made from cotton - a lovely strong fibre that has many years of life left in it. And with the popularity of Downton Abbey, Edwardian wedding dresses are very much back in fashion. Dress 1, pictured here, is a wonderful old-fashioned deep cream colour which used to be known by the French name 'ecru'. It is made in a charming mix of lace styles, all hand-dyed using natural dyes - most probably tea. In Edwardian times, the dress would have been worn with a whale bone corset, a bodice and petticoat underneath. Here, I have matched it with an original 1930s satin petticoat - a beautiful garment in its own right. The Edwardian bride it was made for had a 23 or 24 inch waist. But my clever seamstresses have invisibly adapted it to fit a modern 26in waist. This lovely dress is currently available from my West London studio, priced at £1350 (inclusive of 1930s satin slip). Dress 2 is a similarly classic Edwardian style, again using a variety of cotton lace styles. The colour this time is a purer white. Again, the dress would originally be worn with more complicated undergarments, but I have teamed it with a simple and elegant 1930s satin slip, which gives a lovely warm hint of shine under the lace dress. The white lace is perfectly complemented by a delicate ballet pink silk ribbon tie. This dress also was originally made with a 23 or 24 inch waist and has been cleverly and invisibly adapted to fit a 26 inch waist. As I mentioned in my post last week, I've complemented the dresses with an original Edwardian flower circlet - brought to life by the addition of fresh greenery. I hope you agree that the dresses, and circlet, are each so delicate and beautiful. A big thank you to Robert Lawler Photography for the images. And - as always - thank you for dropping by today! Hope to see you again soon. 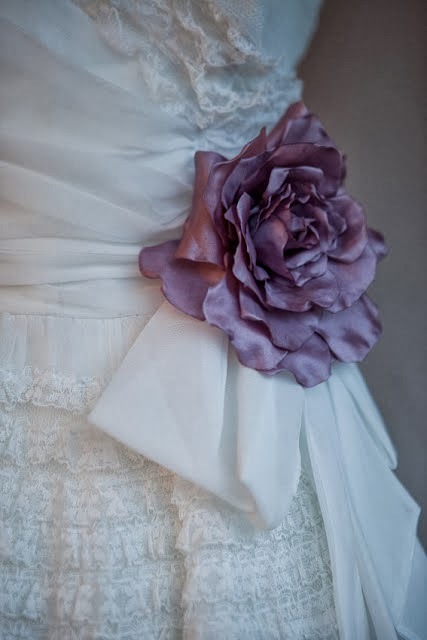 Thanks for visiting my vintage wedding blog today! I'd like to show you some of the fabulous original vintage wedding dresses I have for sale, as well as the Heavenly Collection - my own range of vintage-inspired wedding dresses. And I'll answer some of the questions I'm often asked by my Heavenly brides, in a series of posts about how to choose, how to accessorize, and how to care for your special dress. I hope you'll enjoy reading it, as much as I enjoy sharing it with you. Visit my website too ! A guide to 1960s vintage wedding dresses: from Princess Grace pretty to Swinging Sixties style! 1950s WEDDING DRESSES - A GUIDE. 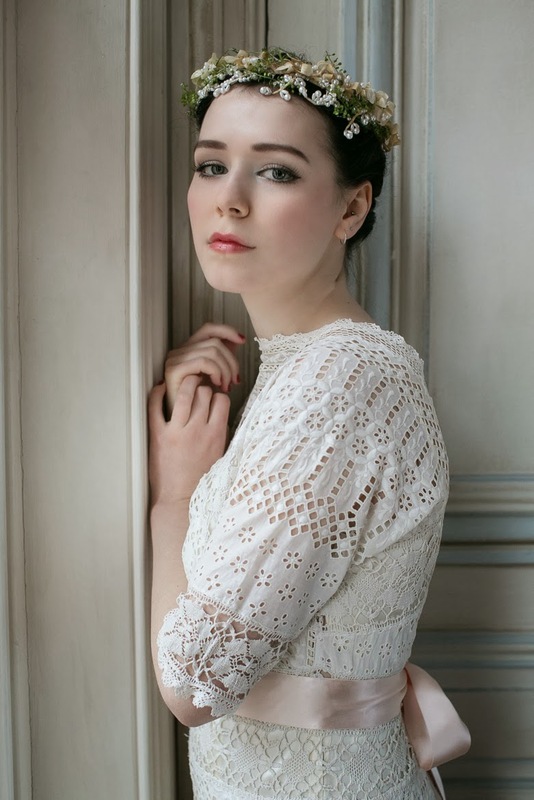 Edwardian vintage wedding dresses - a guide. Heavenly Vintage Brides is my unique collection of fabulous, vintage wedding dresses, sourced from all over the world. Each gown is carefully selected, restored and adapted - making it perfect for the modern bride, whilst retaining its own unique charm. In my West London studio, I hold around 70 beautiful styles which can be viewed in person or online. And to offer a full choice of sizes and styles, I've created the new Heavenly Collection: a range of nine vintage-inspired designs - based on the prettiest, most elegant and most timeless vintage dresses. Here, you can work with me to help personalise your own dress - choosing from a range of options for fabrics, colours, sleeve and skirt lengths. I'm proud to have dressed beautiful brides from all around the world. To find out more, please contact me through my website. © Heavenly Vintage Brides. Simple theme. Powered by Blogger.